Imagine Metal Art is an extraordinary custom metal fabricating business that takes the daunting task of turning a piece of metal into art. The term imagination often refers to fairy tale, fantasy or fiction. 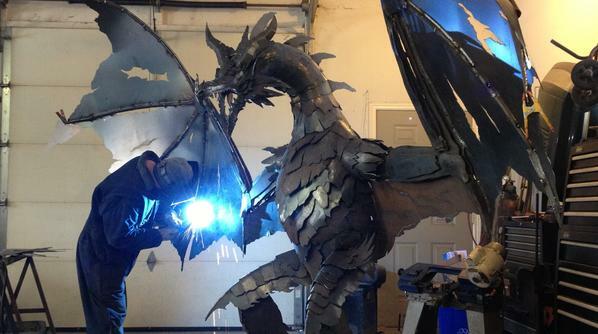 Imagine Metal Art transforms such concepts of imagination into reality, creating dragons, gargoyles and other mystical creatures out of metal into works of art that can be proudly displayed in a customer's home, garden or business. Each piece is hand crafted and made here in Canada. Consignment and custom work most welcome!